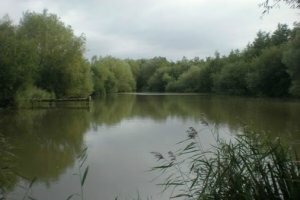 Rookery Meadow is around 3 ½ Acres and has a good head of carp and can be booked exclusively by parties of up to 5 anglers. There is a small lodge on site, providing shelter and a great place to BBQ and socialize. There is also a separate toilet complete with flushing loo and wash basin. The lake is very mature, tree lined with many features. It is triangular in shape with depths running from 2/3 ft at the point end and up to 7ft at the dam wall end.